Nestled between East Tennessee ridges, Norris Lake points the way to Cumberland Gap and the historic Wilderness Trail marked by Daniel Boone. 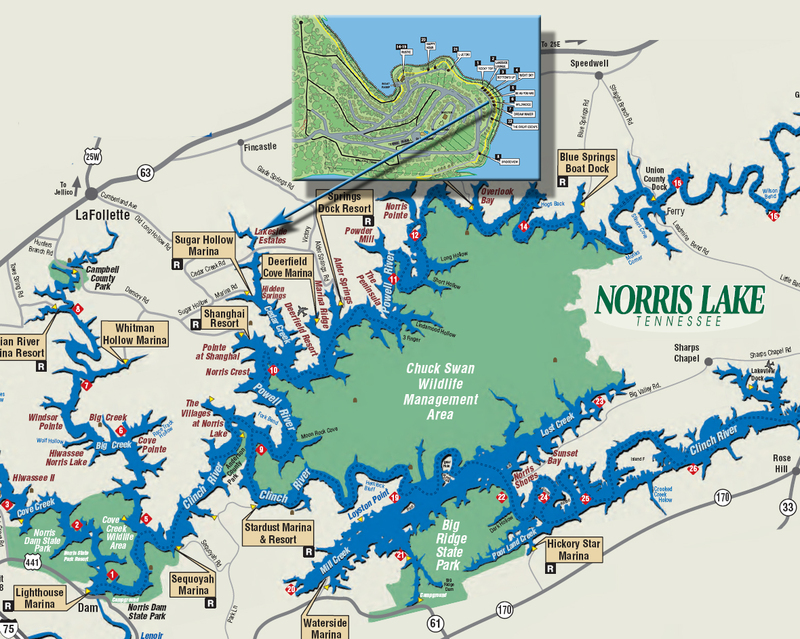 From Norris Dam, and Norris Dam State Park, the lake extends 73 miles up the Clinch River and 56 miles up the Powell River and covers 34,200 acres! The TVA ranks Norris Lake as the cleanest and highest rated TVA Lake with approximately 96% purity and is crystal clear with 25’ visibility. The water color is a beautiful teal blue with natural stone and hardwood shorelines. About 80% of the 230,000 people who live in the Clinch-Powell watershed depend on the river system for drinking water and other benefits. Anderson, Campbell, Claiborne, Grainer, and Union Counties surround the watershed area that forms Norris Lake. Each of the cities and towns that are found within these counties add their own unique character to our area. The area is bustling with activity.